An argument regarding money led to the tragic death of a 25-year-old man of Henrico, Virginia, according to WTKR News. He was killed with a knife, and lost blood quickly from a gash in his arm and leg. Although he was transported to the hospital, he died during surgery. The argument that started it all was between the victim and a friend of his, and was documented on Facebook, according to investigators. “They were friends. It was over money that was my understanding,” said the victim’s mother. “I wish I had seen it coming. I wish I could’ve stopped it. I wish I could’ve done something more as a mother to help my son.” While social media evidence showed motive, in that the two friends were in an argument, it did not reveal premeditation. The suspect was charged with second degree murder, a crime punishable as by five to 40 years in prison, according to Virginia statute § 18.2-32. Is the Social Media Authentic? As for the first and second point, if the prosecution brings social media evidence that is not relevant, or that does not serve the purpose of their argument, the defendant’s attorneys will have an easier time waving off any accusations that the evidence suggests. 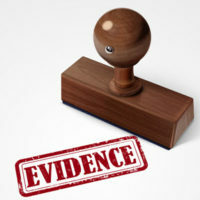 Equally difficult on the part of the prosecution is to prove that the information is authentic–that it is real and was created by the defendant. An experienced defense team can help disprove unauthentic social media evidence and ensure that certain messages or posts are not taken out of context. Regardless of the crime with which you have been charged, we encourage you to protect your rights by calling one of our Leesburg criminal defense lawyers at Simms Showers, LLP today. We are prepared to help you today.